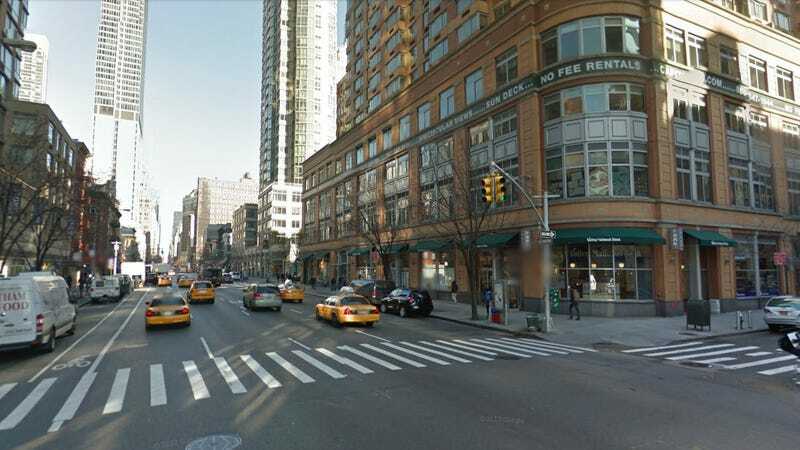 A section of 6th Avenue in Midtown Manhattan is currently closed for drivers and pedestrians because 'stray voltage' could electrocute you from a subway grate or a doorknob. Gothamist reports that ConEd is trying to find the source of the stray voltage and have shut down 6th Avenue between 26th and 27th Streets, with several more blocks closed to car traffic. This morning workers recorded electrified street grates and doorknobs at some 44 volts, which they described as "definitely dangerous." At around noon, an electrified manhole started a fire. ConEd is currently trying to find the exact source of the runaway electricity, which is not entirely uncommon this time of year in NYC. The city dumps huge amounts of rock salt to clear the streets from ,multiple snowfalls, turning the snow into salt water. The salt water not only damages underground wiring, but also excellently conducts electricity.